These three easy recipes with aloe vera gel will keep your hair healthy. You probably buy aloe vera every summer because it's so wonderful for your skin, but aloe vera for hair can help your hair look and feel amazing too. It's a natural astringent, so it helps remove excess dirt and oil from your hair. It can also help repair and restore damaged hair. If you have dry scalp or dandruff, it can soothe your scalp and help stop itching. Here are three easy recipes to help you get started using this wonderful product on your hair. Aloe vera gel is more commonly used for its skin benefits, but it has many benefits for your hair. People have been using aloe vera for their hair for centuries because it's high in minerals, vitamins, and other ingredients that can help hair grow. Aloe vera gel is made of 75 active ingredients, including choline and vitamins A, C, D and B12. These vitamins have been shown to support hair health. Aloe vera also has essential amino acids and fatty acids that can moisturize your hair. It also has zinc and copper, which are thought to promote hair growth. Aloe is a gentle substance, so it's often used on sensitive or irritated skin. For this reason, it also works well on your scalp, even if your scalp is irritated. If you have dry skin, eczema, or psoriasis on your scalp, aloe can be a good natural treatment. In a study, applying aloe vera gel to the skin resulted in a reduction in itchiness and skin scaling. 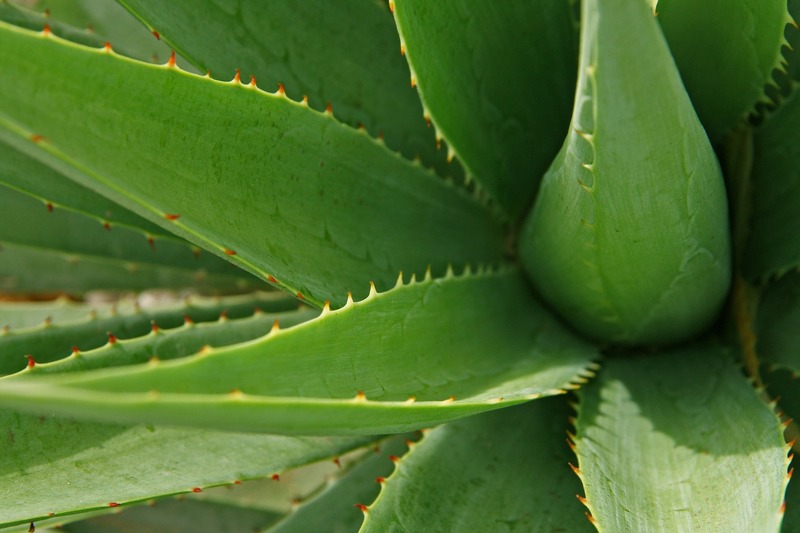 It's believed that aloe can stimulate the blood vessels in your scalp. This can increase oxygen to the scalp and helps nutrients move to the scalp area for healthier hair. Aloe vera gel moisturizes without making your hair oily, so it's a great natural moisturizer for curly hair and textured hair. This wonderful homemade hair conditioner helps repair damage from heat styling. Coconut oil is rich in fatty acids, so it helps restore your hair and also helps moisturize your hair. Combine both ingredients in a glass bowl. Microwave at 30 second intervals until the oil is melted. Process in a food processor to mix well. Apply to clean hair and let sit for 15 minutes before rinsing. Wash hair to remove the oil. This helps keep hair moisturized during the day to prevent frizzy hair. It is important to use distilled water because this recipe does not have a preservative. Combine both ingredients in a spray bottle . Shake well. 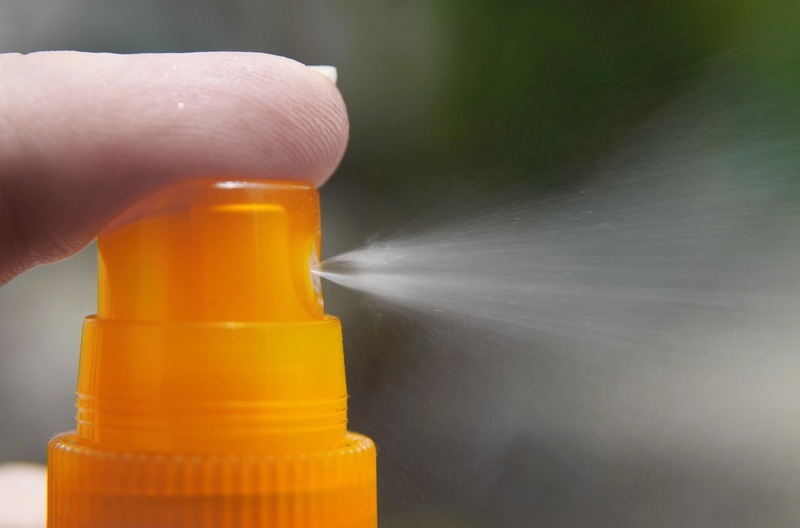 Spray hair as needed to prevent frizzy, dry hair. To protect your hair from the hair dryer or a flat iron, use this aloe vera for hair recipe just before using the appliance. Grape seed oil has a high smoking point, so do not substitute another oil in this recipe. Mix all ingredients together in a bowl. You can use a food processor or blender to get them blended together better, but it is not necessary. Apply to the ends of your hair just before using a hair dryer or flat iron. Have you used any aloe vera for hair recipes?